These guys come with the need for grooming and plenty of exercise. If you have kids, these are all great choices. Just because they are big and can appear intimidating (which might be what you are looking for) don’t mistake them all for great watchdogs. Regardless of your wants and needs, all of the large hypoallergenic dogs listed below make wonderful companions! Related: Are There Any Large Breeds for People with Dog Allergies? I swear, I am not lying, he actually is hypoallergenic! Don’t mistake his long, straight mane as allergy-inducing. He is a great dog, I just can’t stop giggling when I look at his picture! 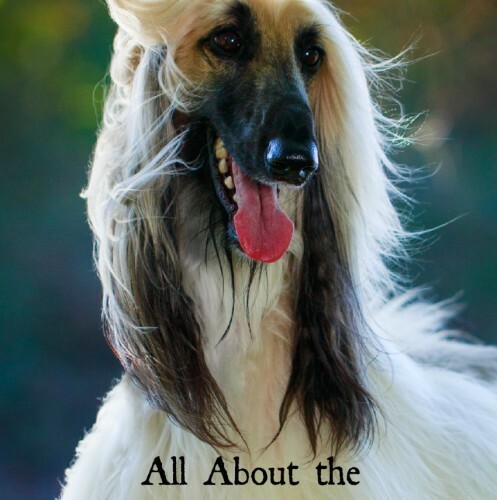 He looks like a big dog with long beautiful human-like hair, and not just on his body! That being said, you do need to groom him everyday. Yes, every day, consider it bonding time. He is good with kids (just watch for them pulling on his luscious mane). A smart dog, but he won’t keep people from breaking into your house, so install that security system you have been thinking about. The American Kennel Club (AKC) is the place to go for your dog info. He will also be a great watchdog. His size can be intimidating so that’s a bonus! He is very smart, which helps when training him. Easy to train, he does best with repetition but is easily bored. 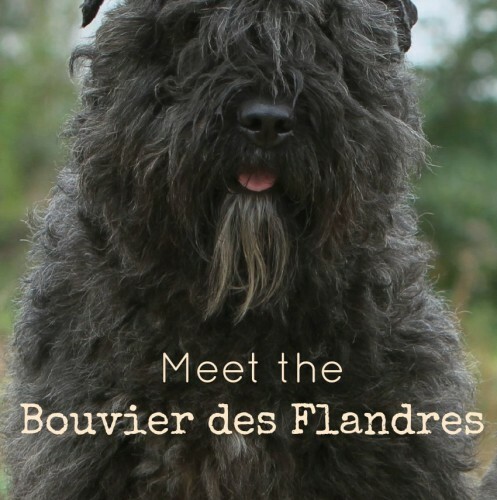 This loveable giant was originally bred to be a herding dog, his name literally means ‘Cow Herder of Flanders’ (just a fun fact). Check him out on the AKC website! He’s got a coarse coat, which is actually 2 layers, a soft underlayer and that coarse outer layer. He is pretty much the perfect dog. 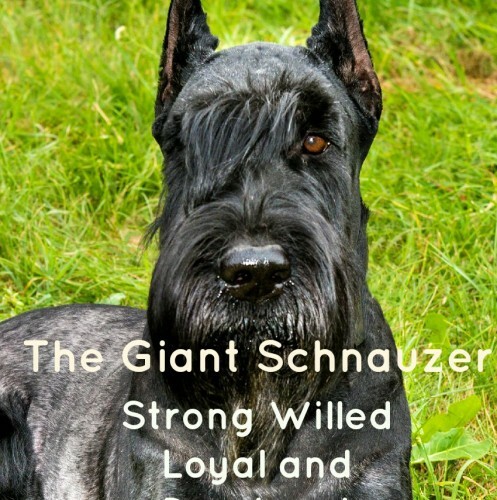 The Giant Schnauzer is the perfect companion or working dog. Either way, he is loyal to his family and very smart. Also, I just like saying Schnauzer. You know you just said it a few times. Be sure to keep his coat trimmed near his eyes, or he ends up looking like one of The Beatles, or a modern day teenage boy. Dog Time has some great info on this lovely giant! He is a little smaller than large (ok he is medium sized). Not only is he hypoallergenic, but he will go hunting with you too! He needs to walk and run daily, he’s got lots of energy. Because is loves to hunt, just be cautious when letting him out without a leash, he may catch sight of a squirrel and try to hunt him down. 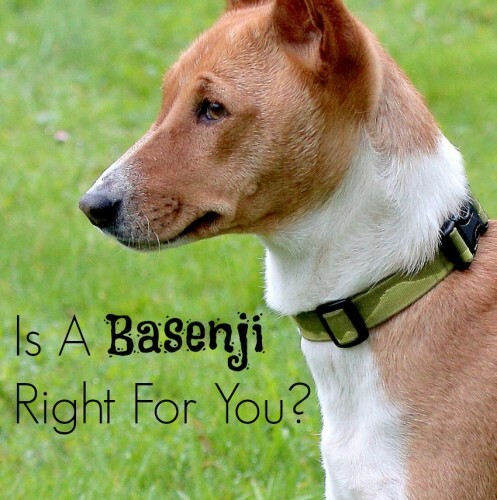 The Basenji has very distinct markings with red and white. He only gets 2 out of 5 stars when it comes to his love of kids, but raising a puppy around kids he will be just fine. He is rated the best watchdog according to Dog Breeds List. Here is a link right to his page. RELATED: Are Rhodesian Ridgebacks Hypoallergenic? Unfortunately, this is the complete list of large hypoallergenic dogs (plus a bonus medium sized one). If hypoallergenic is really important to you, you might consider going medium or even small if size is not important to you, you will have more of an option when it comes to which breeds you could take home. 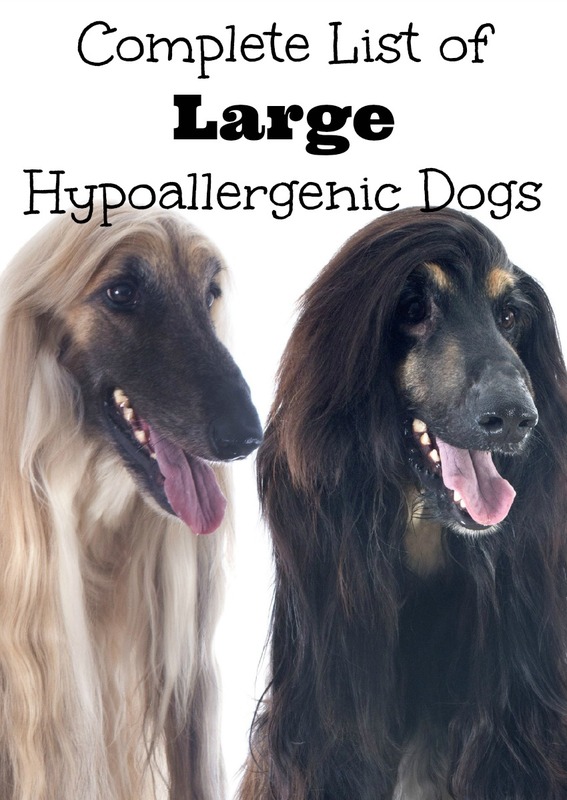 Have you owned a large hypoallergenic dog before? Share your dog stories with us in the comments section below!